Free Baby Seat / Booster. No extra cost for damages to the wheels, mirrors, engine damages or damages to the bottom of the car. The aforementioned are not covered in case the car is travelling on rocky roads and particularly on the road to Balos and Agiofaragko Beaches. Theft Protection/Fire Protection/Collision damage Waiver insurance with no excess. Death or bodily injuries to third party up to 750.000,00 €. Property damages to third party up to 750.000,00 €. The rented car against vandalism. Damages to the wheels, tires, windshield and windows. The driver against death, total or partial permanent disability by traffic accident and medical expenses up to 17.600,00 €. Each passenger for bodily injuries – total permanent disability – partial permanent (percentage) – death. Theft Waiver (TW) relieves the renter from all financial responsibility for loss of or damage to vehicle by or following theft. Locale taxes and 24% VAT (Included in all prices and offers). No additional charges on flight delays: All our employees are informed at all times for the arrivals of the planes as well as the schedule changes that might occur. They will wait for your flight in order to deliver the car you have reserved to you, even if there is a delay. Unlimited kilometers. (Included in all prices and offers). Free of charge receipt and delivery at the Port, Airport and the hotels of Heraklion and Chania. 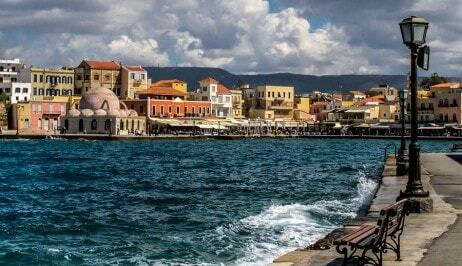 Extra cost may be charged for delivery and receipt from any other place of Crete. Please contact us for further details. Cleaning, maintenance, oil and greasing. 24 hours road assistance (Express Service). Replacement of the car in case of breakdown. GPS (The cost of the GPS is extra. It costs 3€ per day and the payment is required upon arrival. One way rental: All cars are available for one way rentals for one week or more. In some cases, an extra charge may apply. Please contact us for further information.